High-quality VoIP starts with a suitable router. Many businesses will implement a hosted VoIP solution and confirm with the VoIP provider that the router that already exists in their network, works with the VoIP service. 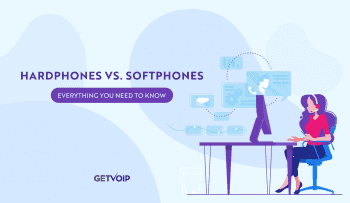 Yet many businesses still end up frustrated with call quality, dropped connections and other problems associated with their VoIP service. And they may unfairly accuse the VoIP provider of subpar service. It’s not enough to just find out if your router will work with VoIP. Sure, it will work—VoIP is just another type of data traffic that a router passes in and out of your network. 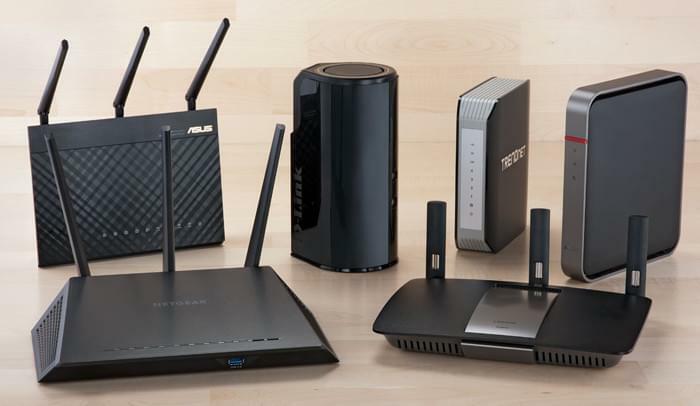 However, many routers, especially those designed for consumer networks, are not well optimized for VoIP, as a business may find out the hard way. When deploying mission-critical VoIP systems, consider a business-class router that is optimized for VoIP. There are several features to look for in a router that will be used with a hosted VoIP solution. The most critical feature is robust QoS (Quality of Service). QoS allows for prioritizing VoIP traffic over other types of data traffic such as video, Instant Messaging, or FTP. Mia Athawale, technical product manager for ABP Tech, provides an even more specific example of why QoS is critical, “A sync triggered for a Dropbox account could create a spike in bandwidth usage and cause existing VoIP calls to experience packet drop. Conventional QoS does not resolve the problem,” wrote Athawale in a blog post. Who would think that an application as innocuous as Dropbox could have such a negative impact on VoIP quality? Not many, which is why QoS is crucial. If you take a look in the management interface of your router at home, there is a good chance you can find some settings related to VoIP. Consumer routers often have options for bandwidth prioritization or traffic shaping. 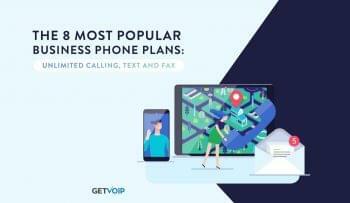 You can enable these settings and specify that VoIP traffic takes priority over any other type of data traffic in the network. However, for VoIP in businesses, those consumer-level features may not be enough. In an email interview, Athawale also pointed out why many consumer routers simply aren’t sufficient for business applications. “A lot of routers claim to perform QoS, but most of them simply tag the packets, especially consumer routers,” said Athawale. SMBs should take note of other important features a router should have when it comes to VoIP. VLAN support is one. With VLANs, you can have VoIP traffic isolated to specific devices or user groups and prioritized separately from other internal data traffic. WAN backup and load balancing are two other good features for VoIP but these feature are only available in devices with at last two WAN ports. DrayTek’s Vigor2925Vac is not only a top-choice for SMB VoIP routers, it’s the only such router to include 802.11ac Wi-Fi. DrayTek partnered with ABP Tech to develop very extensive QoS for VoIP. Among the many VoIP-tailored features, the Vigor2925Vac can detect VoIP traffic (SIP and RTP media) and automatically give it first priority over other traffic. QoS is also combined with proactive bandwidth management, so when DrayTek routers detect a VoIP call, they reserve bandwidth for two more VoIP calls than the current number of calls. So bandwidth is allocated to VoIP dynamically, and is still available for other applications when there are no VoIP calls. Dual Gigabit Ethernet ports provide connection failover and load balancing. Configurations are performed though a Web-based management interface that is designed to be intuitive enough for non-IT people to get the Vigor2925Vac up and running. The DrayTech Vigor2925Tn plus has all of the great features of the Vigor2925Vac, except it is also an 802.11n Wi-Fi router instead of an 11ac router. However, the Vigor2925Vn plus has even more enhanced feature for VoIP including the ability to connect to multiple SIP registrars with flexible configuration and call handling options, plus two FXS ports to connect analog telephones and an FXO port for a POTS line, A feature called Digit Map feature lets you set call rules for certain destinations to use either VoIP services or POTS lines (ideal for a Disaster Recovery strategy). 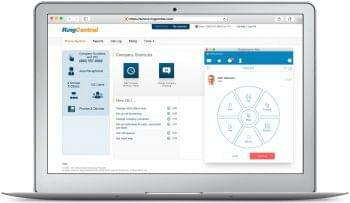 SonicWall is synonymous with security. So it’s no surprise that a highlight of the T300 is that it’s a secured firewall appliance that has VoIP features integrated such as advanced bandwidth management. This all-in-one device also is an 802.11ac access point, and a UTM with intrusion protection, content filtering, application control and more. Cisco’s Small Business RV320 router uses bandwidth efficiently with its baked-in bandwidth management QoS. The feature prioritizes network services including VoIP, by either rate controls or prioritization levels. This all-in-one device also offers content filtering, IPSec and SSL VPN, AES-256 encryption and an SPI firewall. At a price of a little over $2,000, the Adtran NetVanta 6355 IP Business gateway is pricey for a small business, but you are guaranteed you are purchasing a device that is engineered for VoIP. The NetVanta 6366 is an integral SIP gateway as well as a 24-port PoE switch. It helps with VoIP performance with its standardized G.729a voice compression feature which reduces bandwidth on calls. For small businesses looking for a router that is built for VoIP but may not want to pay the price for the Adtran NetVanta 6355 IP Business Gateway, Adtran’s NetVnata 3120 is a good, affordable alternative. Designed for smaller network with DSL or cable broadband, the NetVanata 3120 offers advanced VoIP features. One, is QoS for VoIP delay-sensitive traffic. Another is Voice Quality Management (QVM). With QVM, you can capture jitter, delay, and packet loss statistics to troubleshoot VoIP calls. If you are looking for a VoIP-capable router for a very small business with a budget that does not allow for much more than a consumer router, then look to the Linksys WRT1900ac. This Linksys router can be flashed with OpenWRT firmware. This firmware supports a number of open-source SIP packages including Asterisk. It’s a low-cost way to get very granular control over VoIP in a network, if you don’t mind digging though some technical knowledge base articles and forums in the OpenWRT online community when you have questions or issues. Your picture shows an Asus router but your router write-up doesn’t mention Asus. Unfortunately we do not have an in-house image of the routers we took a close look at. Hopefully this does not create too much confusion, but thanks for bringing it to our attention! In the blog content you state, “For VoIP use, you want a router that supports H.323 and SIP protocols as well.” But I noticed on the comparison chart the first two show ‘H.323 Passthrough’ whereas the third is ‘H.323, SIP’. What is the difference and does this mean that the third router is better than the first two (in terms of VoIP functionality)? From my understanding, the first two routers labeled “H.323 Passthrough,” only support the H.323 protocol. I attempt to source my information from the available product pages, so this unfortunately can lead to inconsistencies. devices have the ability to change the IP address and port number of all your packets of data. This can be seen as a level of encryption, helping to keep origins and data private. A “H.323 passthrough,” would mean your router could preform a NAT pass through on the H.323. protocol specifically. NAT is known to cause certain issues with different systems – the biggest example that hits home is when you’re trying to play an online video game, say on an Xbox, and you cannot join o ther players because your NAT is set to “closed” – this isn’t allowing the free flow of encrypted information, essentially, so you cannot connect to other players. A pass through would otherwise bypass the NAT settings. Hmmm. Quite interesting. I appreciate the response! Not a problem, thanks for asking! FYI, I asked RingCentral support about the DrayTek Vigor2925Vac and they said their engineers had tested it, but it failed. I’m guessing that means it failed to meet their specific requirements/needs. Very interesting. From what I’ve noticed, some providers may not like users bringing in their own devices and would rather sell “compatible” hardware. Now, I don’t know the very specific settings on this router, or RingCentral’s requirements and needs, but like you said, this guy didn’t meet “their specific requirements.” That could be the case, or it might not be as critical as some providers paint it to be. Personally, I take that with a grain of salt, but sometimes it simply means this device might not be able to use every single feature a provider has to offer. Either way, very good to know for other readers, thanks again! I’m having issues with hackers constantly pinging my VoIP phone. I have an old Netgear consumer/home router. Which of the routers that you have suggested will guard against these intrusions? A SonicWall product is on this list? They are known around the VoIP community to be complete bears to deal with? Most installers/providers (myself included) wont even install behind them?